Willy Wonka gets super depressed and eats a bunch of his candy and pukes up colorful, candy vomit. The colorful vomit represents this movie; pretty gross, right? Let’s get reel and break this down. A troll princess and her companion, the one unhappy troll tries to rescue her friends from being eaten by their nemeses. The directors play with the theme of being yourself and staying true to who you are and don’t change to impress anyone. This is a really great lesson for kids to learn. And I might be crazy for thinking this but in the film the creatures that want to eat the trolls to be happy correlate with greed and how people think money will make them happy but deep down it won’t fix anything and you will feel more depressed. Like I said, that is a stretch of a theme but I did notice it. I did enjoy some of the innuendo for adults sprinkled throughout but it isn’t enough. This film offers nothing new or creative in the animated genre. With a year filled with Zootopia, Finding Dory, and Kubo and The Two Strings, this is sub-par at best. The story itself is nothing exciting and the premise is stretched thin with humorless scenes and musical insertions that are more of a distraction instead of an enhancement. The re-watchability is non-existent and I have no desire to re-watch it and I think kids wouldn’t even want to re-visit it as well. It is about as vapid as kid’s entertainment gets and is simply an hour and half distraction to place in front of your children so you can go to the grocery store in peace. 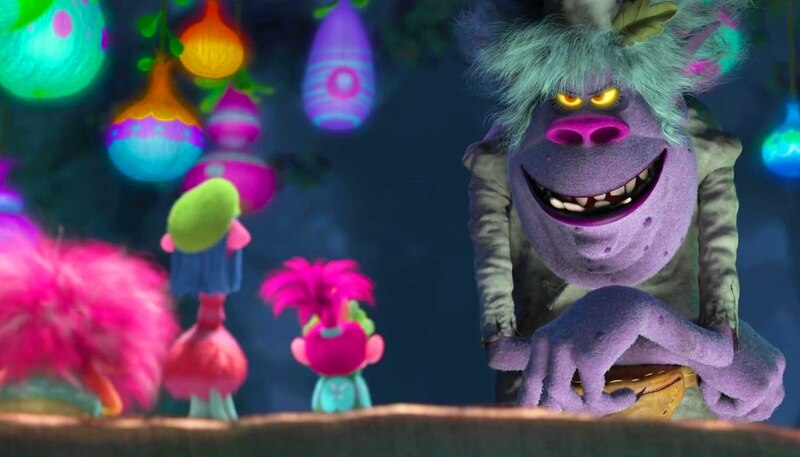 The colorful nature of the world of Trolls is good eye candy and can be visually appealing. Even with the village of the creatures eating the Trolls is gloomy and depressing but captures a fairy-tale type of atmosphere. The animation itself is crisp, clear, and detailed providing the experience as…not as bad. …for adult can be a drag especially with the thin, lifeless story and the comedy that doesn’t hit. This might be one of the worst ones of the year for me. Listen, as a kid, I am sure it will be fine but as an adult, especially with animated films this year, it is a chore to sit through.